HIGH POINT, N.C. – (September 6, 2018) - Ten design-driven exhibitors will make their debut in SALON during High Point Fall Market, running Oct. 13 – Oct. 17, 2018. Located in the Suites at Market Square on the Ground Floor, SALON features design-focused, fashion-forward companies and their latest designs in the furniture, lighting, rugs, wall art, home textile and decorative accessories categories. For October High Point Market, new exhibitors in SALON include 1429 mfg; Addison Weeks; BY FLY; Ceramicarte Deruta; GreenApple; Honour Collection; Kim Salmela for Norwalk Furniture; SE7E; Society Social and X8 Chairs. Society Social designs and produces small but edited collections of unique furniture built in-house. 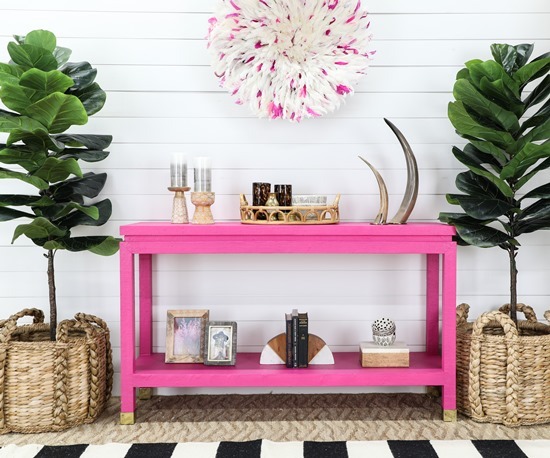 The Society Social product line includes North Carolina-made upholstery, case goods and occasional furniture from textured raffia tables to faux bamboo bar carts, and rattan and cane mirrors and furniture. “At Society Social, it has always been about accessible price points and playful design,” said founder Roxy Te. “We are thrilled to bring our latest collection along with our seasoned best sellers to High Point Market as we feel our level of customization and at our price points will be an exciting addition to the Market. You can expect to find colorful custom raffia available in 1,500 colors, North Carolina-made upholstery, case goods, mirrors, and more!" 1429 mfg will be moving from the top floor to SALON and features a range of modern and mid-century styles, from occasional to dining to wall accent. The line includes consoles, dining, accent and cocktail tables, headboards and wall panels for residential and commercial use. Ngala Trading Co. is returning to High Point Market with a selection of African-design and manufactured luxury lighting and curated home décor products. All products are high quality and made entirely by hand somewhere in Africa. This Market, SALON will also debut a new entrance, lighting and carpet as part of a renovation of the Ground Floor. Suite Spot Tour of SALON with Cheryl Luckett – 3 to 4 p.m.
A Wallpaper Revolution with artisan wall-paper maker Amy Mills and expert installer Katie Hunt – 9:30 to 10:30 a.m. Weekend Bubbly Brunch at The Antique & Design Center – 9:30 to 11 a.m.
Seeking Sanctuary with Ray Booth & Kathryn Scott - 4 to 5 p.m.
Sunday Mimosas with Robin Baron – 11 a.m. to 1 p.m. Afternoon Social – 2 to 6 p.m. Happy Hour at The Antique & Design Center – 4 to 7 p.m. SALON opens for early shopping at 8 a.m. on Friday, Oct. 12. For more information about SALON, go to http://www.imchighpointmarket.com/salon. For travel information and to plan your Market, go to http://www.imchighpointmarket.com/plan-your-market. IMC, which Blackstone and Fireside Investments acquired in 2017, is the world's largest owner and operator of premier showroom space for the furnishings, home décor, gift and apparel industries, with nearly 20 million square feet of world-class exhibition space in High Point, N.C., Las Vegas, and Atlanta. The Company’s mission is to build and operate an innovative, sustainable, profitable and scalable platform for the furnishings, home décor, gift and apparel industries. For more information, please visit www.imcenters.com.